When it comes to providing high quality strings for fretted and bowed musical instruments, D’Addario & Company, Inc., has long been a household name. 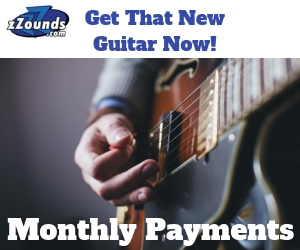 With revenues of over $150 million in 2012 and several successful proprietary brands, including Planet Waves, Rico, Evans Drumheads, Pro-Mark and Pure Sound, among consumers, D’Addario products enjoy a number one global market position. What’s more, for many contemporary six-string pickers and strummers, acoustic or electric, D’Addario has become the only choice, with good reason. 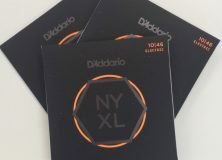 In one form or another, the D’Addario family has been making strings since the 17th century. Of course, having developed such a remarkable understanding of tone, you have to ask yourself, why would a musician, aspiring or professional, use any other strings? Guitar-Muse recently sat down with Jim D’Addario, chairman and CEO of D’Addario & Co., Inc., at the company’s headquarters in Farmingdale, New York, for some insights into the design, manufacture and distribution of guitar strings. We noticed a number of guitars and other music-related memorabilia occupying nearly every corner of the building throughout the D’Addario corporate offices, each signed by famous artists. No doubt, there is definitely something special about the place, almost hallowed. As we toured the site with Jim D’Addario, it became clear that he is a conduit, an instrument if you will, between old world craftsmanship and modern-day string-making excellence. After meeting him, you can’t help but think that he’s something of a Michelangelo of fretted and orchestral strings. Many thanks, to Jim D’Addario for taking time to chat with Guitar-Muse. Guitar-muse: Jim, let’s discuss your early days with the company. Jim D’Addario: I began working with my dad when I was in college. That was in 1967 and 1968. At the time he had Darco Music Strings, Inc., which he started. During college, I also had opportunities with Martin guitars because Darco became a division of Martin. I was a sales rep. When I was studying at Hofstra University, I arranged my schedule in order to service all the major instrument vendors in the area. I learned how products were sold. GM: Tell us more about Darco Strings. JD: My father was a great string maker. That’s why, at one point, Martin bought the company. I had acquired a lot of hands-on marketing experience working for Darco/Martin and was second in charge of marketing for the entire Martin Company in 1970. I also ran the in-house printing department I had started at Darco. It was a tremendous opportunity. I also saw an opportunity in the string business. At the time, people thought you should stick with the brand of strings made or selected by the guitar maker. There were some companies that started to understand the importance of a string and its gauge. I saw an opening to market better strings through better design and quality control. GM: When did you begin selling strings under the D’Addario name? JD: We started this business in February 1973 in Lynbrook [New York]. We ordered some string machines and I insisted we market our own brand. I had a good idea what might work. We began marketing under the D’Addario name in August 1974. Prior, my family primarily made strings for other companies. To this day 10-15% of our string is still private label. After a while, we started getting real traction and eventually mitigated the myth that if you bought, for example, a Fender guitar, you should only replace the original strings with Fender strings; a Gibson with Gibson strings etc. We came along and gave the player more choices. 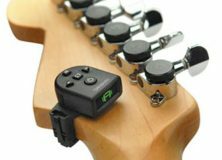 GM: How have you led D’Addario to attain its number one global market position? JD: If you start with a string that’s not perfect, you won’t achieve the sound that you are looking for. In a perfect world, a hand wound string should be the Holy Grail. However, hand wound strings inherently have huge variations in their manufacture. Winding strings by hand is hard work and fatigue in applying the right tension while winding sets in early in the work day. Our strings are so consistently made, so reliable, because we’ve taken the variables out of the equation. For example, someone like Buzz Feiten, inventor of the famed tuning system of the same name, would only use D’Addario strings because of their consistency. I recently spent 20 minutes with Mark Knopfler over at the Barclay’s Center [in Brooklyn, New York]. He told me, ‘I don’t know how you do it. In over 25 years of using your product, I’ve never had a bad string’. GM: How does D’Addario maintain such string making reliability? JD: Early on I realized there were certain things in the string winding process which could be done mechanically that would improve the product. I took the lead and started tinkering. I literally learned how to make and design my own machinery. By 1975, I soon recognized there were certain key variables. If you control those variables, you control the product consistency. When you wind a string, you need to pull the wrap wire quite a bit while feeding it at a precise angle. Commercially available machines or the hand winding process could not provide the necessary control. We built systems into our machines that control the tension and the angle, from the start of the first string in the morning to the last one made when the lights are turned off. GM: Why is it that other guitar strings look and feel stiff, almost inflexible, right out of the package, compared to D’Addario? JD: Strings have to be flexible to provide the full range of sound, from fundamental up through the upper partial overtones. There are lots of reasons for differences in the flexibility of a string, the most important of which is in the specifications you begin with. For instance, the ratio between the size of a core and the wire wrapped around that core is critical. A string with a large core and small wrap will be significantly stiffer than a string with a smaller core and a larger wrap. Most of the specifications we use today are the culmination of decades of experience working with the most talented luthiers and musicians. The actual winding process used can also affect a string’s stiffness. GM: Are there any differences between making acoustic versus electric guitar strings? JD: No. The same technique is used. GM: The Company is headquartered on Long Island, New York. While manufacturing is both domestic and international, 100% of your strings are American made. What does this mean to the consumers who use your strings? 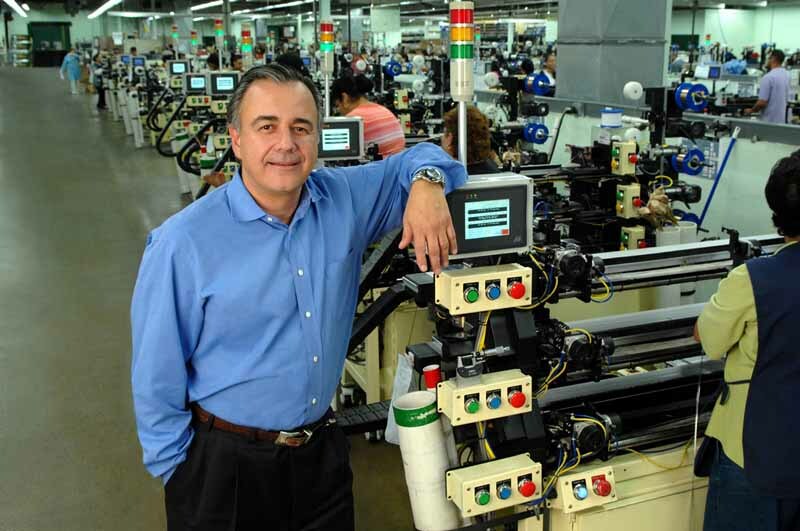 JD: We have complete control over the design and manufacture of our strings. We are the only company that also makes its own high carbon steel wire for our cores and our plain steel strings. We also are the only string manufacturer drawing and coating wrap wire for coated strings. Starting with superior raw materials is mission critical. The USA is still the global leader when it comes to raw materials for string making. We now also have a team of ten engineers designing machinery and improving manufacturing processes in our string facility. We have our own first class machine shop where we make all our string manufacturing equipment. Recently, our ad agency determined that one of the attributes that differentiates our company is that ‘We are the most difficult people to please, not our customers.’ We are constantly improving what we do. GM: Putting aside business for a moment, the company website indicates you were an avid guitar player. Do you play any other instruments? JD: Yes, the bass guitar and piano. GM: What does your guitar collection look like? JD: I have a collection of 50 guitars; 20 or so are vintage instruments that are really special to me. GM: Can you mention some of the models? JD: Sure, I have a number of Martins: a prewar D-28, an early sixties D-35 with Brazilian rosewood and a 00-16 from 1916. I also have a D’Angelico Excel, a Monteleone, a Linda Manzer Metheny model, 61 Strat and four outstanding Collings Guitars. GM: Besides the Martins, what other guitars do you like? JD: Collings. I feel they are one of the best makers on the planet. GM: Which guitar players do you enjoy listening to? JD: There are many, but I like John McLaughlin, Mark Knopfler, Pat Metheny and Satriani. John McLaughlin was one of the first to endorse our strings back in the 70s. GM: Thank you for spending time with us, Jim. Afterward, we learned Jim uses D’Addario’s Custom Light EXP26 coated phosphor bronze strings on his acoustic guitars and EXL115 on his electrics. 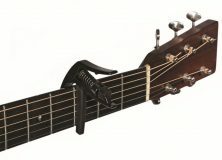 For more information about D’Addario & Company, Inc., or the D’Addario Foundation, please visit daddario.com.